Employers and most graduate schools want to see that you have gained experience and been involved while pursuing your studies. The transferable and technical skills you gain through part-time jobs, internships, student organizations, and volunteer experiences make you a stronger candidate and help you gain clarity on your career goals. 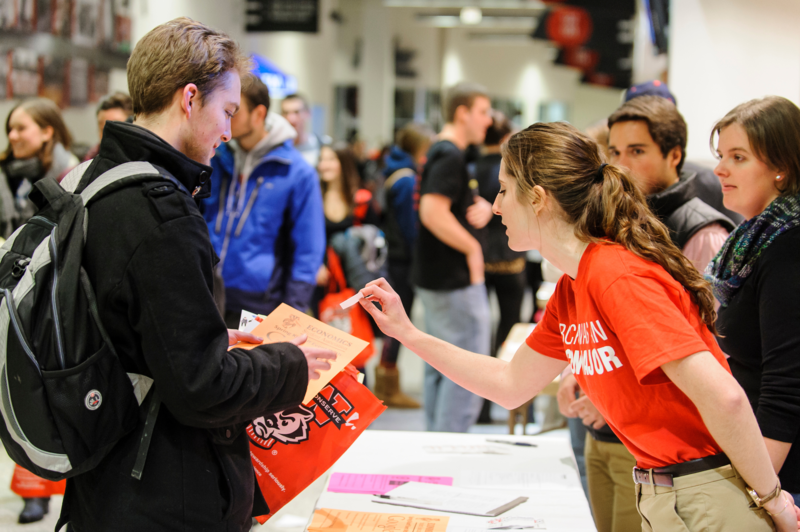 Below, we highlight resources to help you identify opportunities for jobs, internships, volunteering, and on-campus involvement. If you aren’t sure what types of positions to be looking for or want to learn more about common career paths for econ students, review our Explore Careers in Economics section or make a career advising appointment! Networking is a critical, yet often overlooked, step in your job or internship search. It’s commonly estimated about 70-80% of positions are never published, rather they are filled by personal connections or referrals. To improve your chances at accessing this “hidden job market”, connecting with individuals in your network and field of interest is crucial to your career success. An easy way to begin networking is by conducting informational meetings/interviews with alumni or individuals who are working in a position/company you are interested in. Review the Step-by-Step Guide for Your First Informational Interview and use UW-Madison’s Alumni Career Insights page on LinkedIn to find contacts to reach out to. If you aren’t sure how to initiate contact with folks in your network, review our guidelines on how to professionally reach out to contacts. Additional opportunities for networking include attending events hosted by our office, Career & Internship Fairs, and company/organization information sessions hosted by SuccessWorks. Don’t be shy to discuss your career goals with peers, family, faculty, and friends – you likely have a stronger network than you realize! Attend Career & Internship Fairs to network with company representatives and gain insider information about opportunities. Prepare in advance with the Career Fair Guide. Handshake is an online system where companies looking to recruit UW-Madison students post internships and full-time positions. You can also sign-up for on-campus interviews and find out about companies visiting campus for information sessions. Register for a Handshake account HERE. UW-Madison Student Job Center has listings for both on- and off-campus positions, including part-time and internship opportunities. Interested in working at a specific company or organization? Search online for that company/organization name followed by “careers” or “internships” to learn about opportunities and follow the company on LinkedIn. The Center for Leadership & Involvement has compiled additional On-campus Involvement Opportunities. Once you start networking and applying for internships or jobs, interviews can come quickly! Learn tips on how to best prepare and practice so you WOW employers.